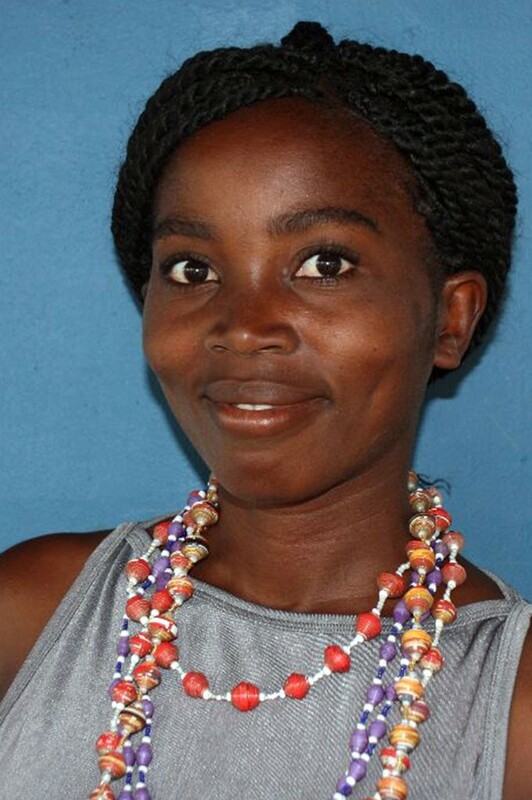 Genise was one of the first artisans to join the Pignon group of The Haitian Bead Project. When Genise first started to learn how to make Haitian beads, she sat quietly in the second row. Her belly bulged round and pregnant. Through the weeks she gained the skills to roll recycled cardboard beads and create beautiful jewelry. Genise explains the dire situation in rural Haiti. Life is about survival. Women struggle to find food for their children. Pregnant mamas must scavenge to find nourishment. She has accepted that her husband must live in Port Au Prince to get a little work and send money to his family in the mountains. Genise is one of our group leaders for the artisans in Pignon, Haiti. Genise and Ronel survive by having Genise live with her in-laws. Her husband Ronel is the firstborn son of Dartiquenov, and a brother to Walquis. The whole family has been instrumental in the Evangelical Church of Pignon and the ministry connected with Christian Friendship Ministries. She is a leader in her own right. She makes quality beads and serves as a patient teacher to others. She is responsible and consistent in coming to the meetings of The Haitian Bead Project cooperative. In November 2012, she was asked to be a part of the leadership group. Her little Esther , like her Biblical namesake, she is a little one defying odds. Her cheeks are round and her eyes so bright – a sign in Haitian culture that she is smart and well-nourished. She is her mother’s delight.